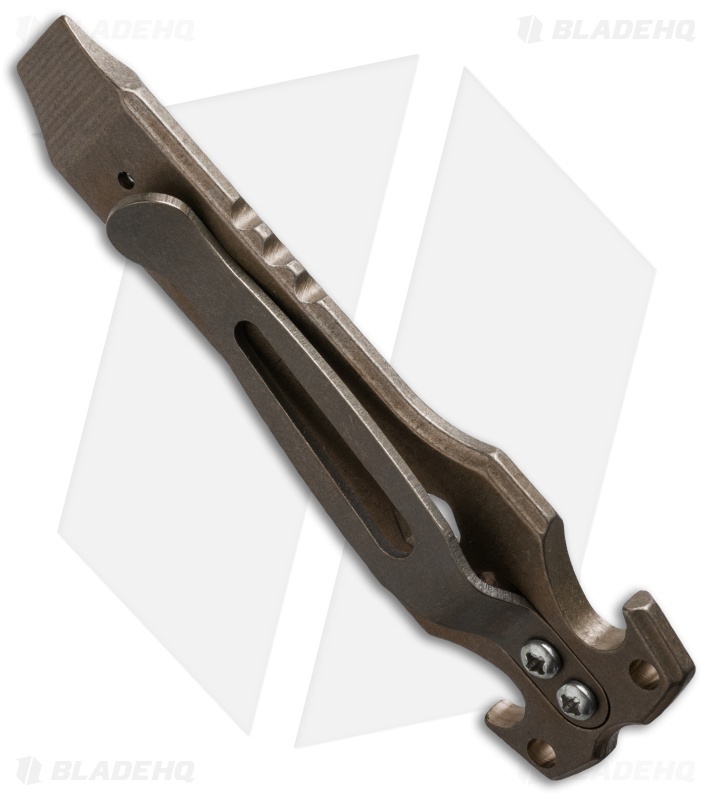 Hinderer Knives and Steel Flame have created a functional money clip pocket tool. The Tactical Tool or HS-TacTool has a bottle opener along with a pry bar and 1/4" bit driver. 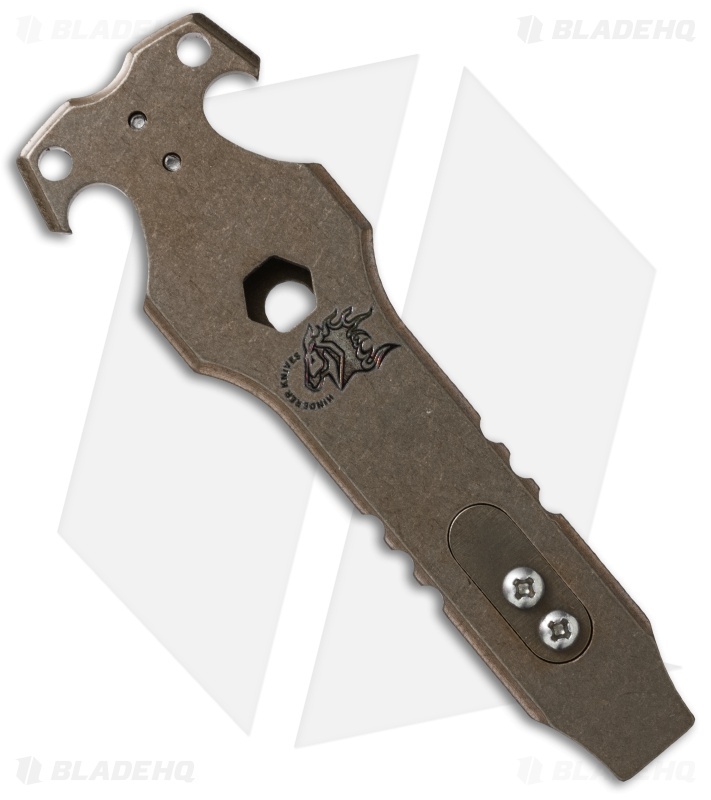 It's made from 6Al4V titanium (bronze anodized) and includes a reversible clip with filler tab. Both the pocket clip and filler tab can be customized with Hinderer and Steel Flame replacements for your own custom look.